Imagery from a series I’m working on which was first inspired by a visit this summer to the ancient ruins of the guildhall in Blakeney, north Norfolk. 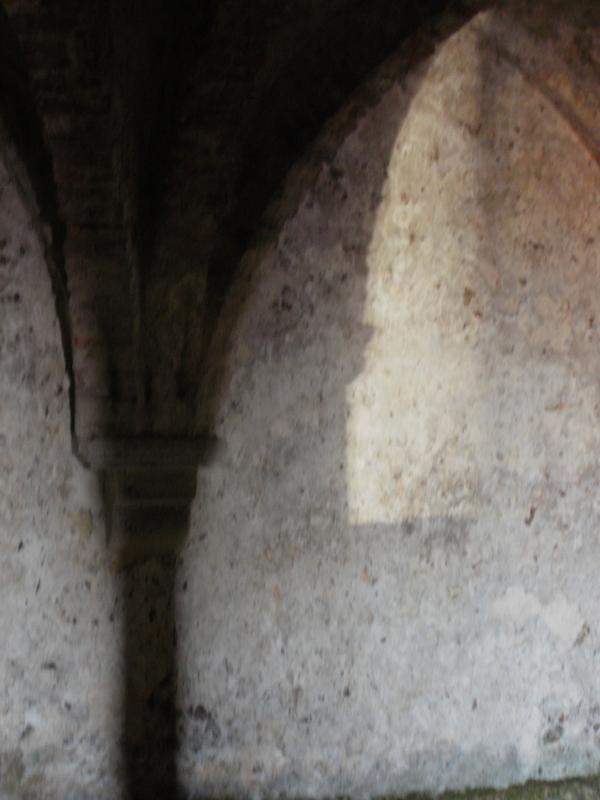 The undercroft of this building is largely intact and what caught my attention was the play of light from the bright sunlit entrance on the walls and among the pillars in the darkness of the place. My digital camera picks up available light pretty well but because of the low light and camera shake, resulted in some interesting effects. I don’t normally use photographs in my artwork but love the painterly quality of the images so in this case I’m making an exception, and they are going to be part of the artwork series. This entry was posted in art and tagged abstract, ancient, art, artist, buildings, gallery, interiors, light, mixed-media, norfolk, painting by mari french. Bookmark the permalink. They seem to be all profile and bones. I was obsessed with catching light from stained glass on stone – fantastic abstract jumping off points, also – amazing textures. You have that strange interplay between the austerity of stone and the things held within it. thanks elaine, it was great to attempt something completely different to my normal landscapes. 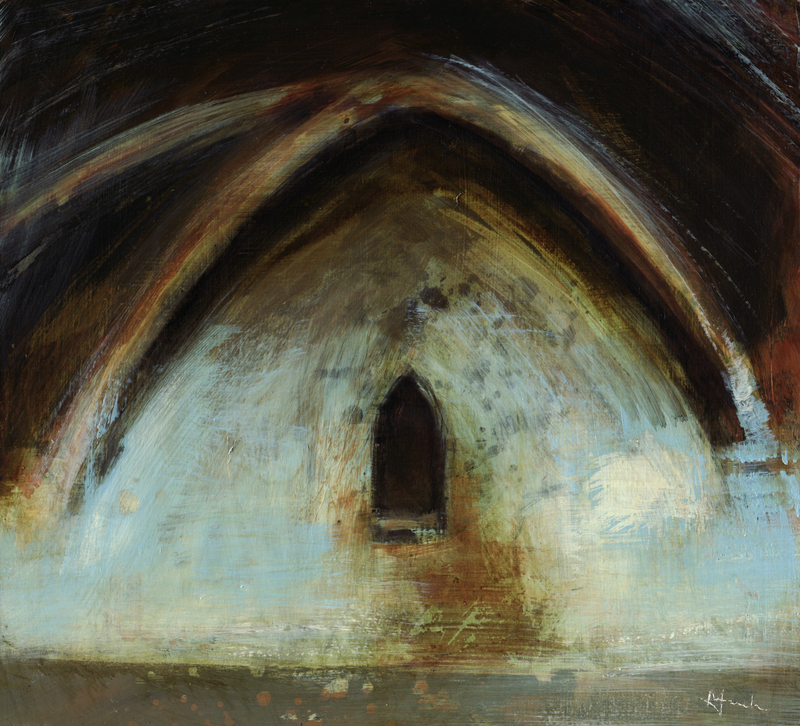 I’m hoping to extend the series and am occasionally diving into old buildings (mainly churches – so many beautiful unspoilt medieval ones down here) trying to catch glimpses of winter light in all its abstract qualities.